You’ve been asking for it for a while now, so it’s only right that we should publish the definitive list of our top 50 Slimming World recipes! We’ve created the list from what you’ve been clicking on and searching for. More importantly what you’ve been cooking! If you’re ever after a popular Pinch of Nom recipe then this is the ultimate place to look. So lets begin, here’s our top 50 Slimming World recipes. First up on the list of top 50 Slimming World recipes is our Syn Free Bacon, Onion and Potato Bake. Most of our recipes are adaptable, but this one really can be used for a multitude of meals! Whether you want to make it for breakfast or as a side dish to a Sunday dinner. Or maybe just simply make it the star of the show with some Speed Food vegetables. 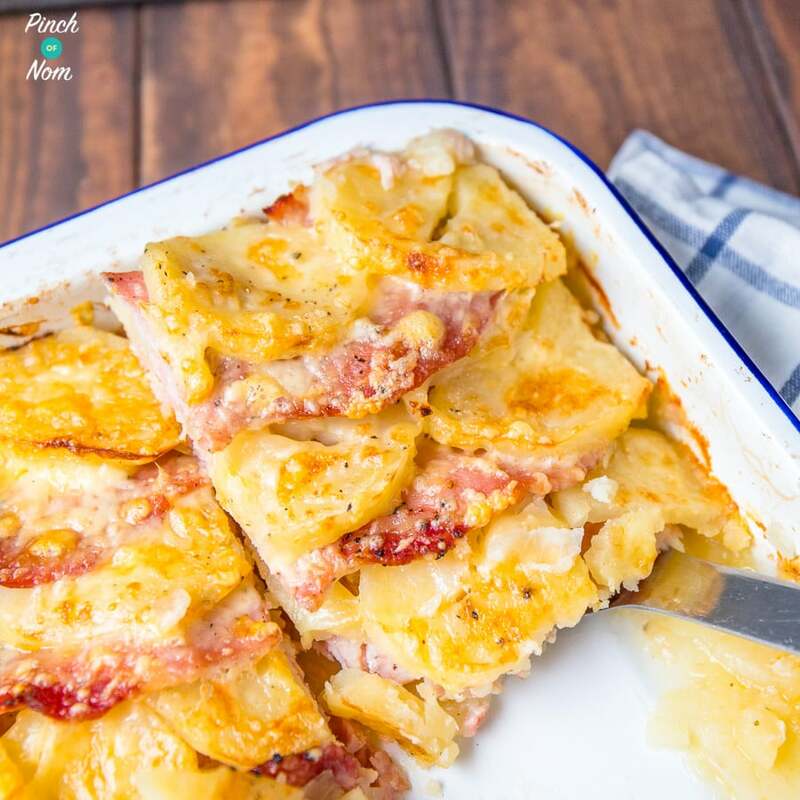 Syn Free Bacon, Onion and Potato Bake is a mighty fine recipe to fulfil all these possibilities. Syn Free Campfire Stew is one of our most popular recipes for those who like to batch cook. That’s because it is such an easy recipe to make in bulk, whilst still being super tasty! It’s packed full of Speed Food and is suitable to serve with all manner of things. Pasta, rice, potatoes, cous cous, it’s entirely up to you! However you choose to serve it, Syn Free Campfire Stew is sure to be a recipe that you’ll add to your repertoire. Well worthy of being one of our top 50 Slimming World recipes! The first of many of our top 50 Slimming World recipes to take full advantage of your Healthy Extras. 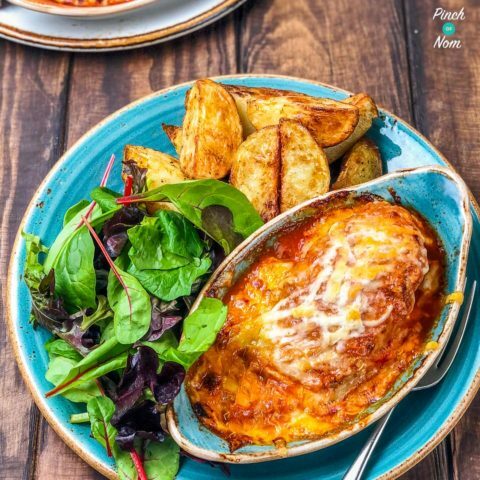 Syn Free Hunters Chicken has been a firm favourite since we published it. It’s a recipe that’s usually made in a rather unhealthy, albeit tasty, fashion. Now, however, we’ve made it possible to enjoy Syn Free Hunters Chicken in a completely Slimming World friendly manner. Best of all, it still tastes amazing! So many people on our Instagram page recreate this meal on a daily basis and love it. Chinese fakeaways are a firm favourite with Slimming World members. It’s great to still have that feeling of a proper takeaway, but without the Syns of what you’d get at the local Chinese takeout. Our top 50 Slimming World recipes feature many fakeaway dishes, and for good reason. 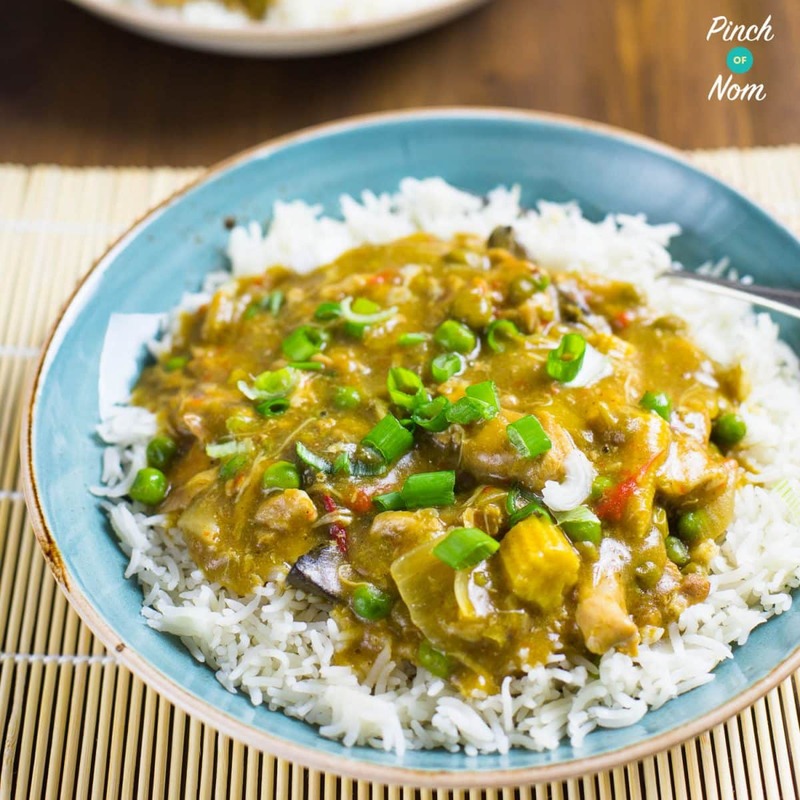 Low Syn Chinese Chicken Curry is the perfect Chinese fakeaway dish. We’ve had so many people on our Facebook group tell us that they love to make it and now prefer it to the traditional takeaway! 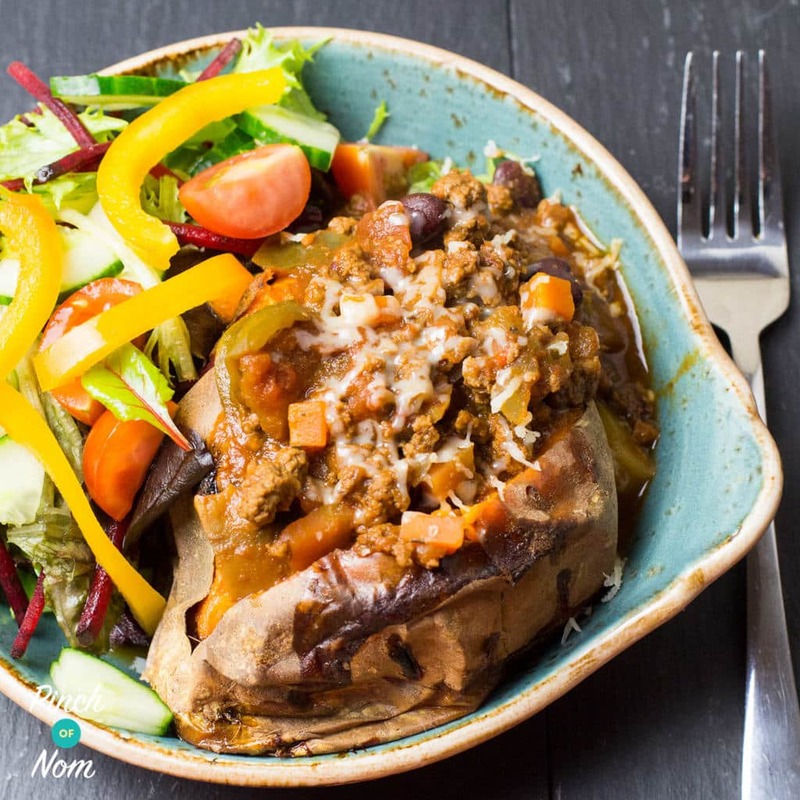 Next on our list of top 50 Slimming World recipes is our Syn Free Chilli. Another of our most adaptable dishes, you can serve it in a whole heap of ways! As you can see by our picture, we’ve chosen to serve it with sweet potato and a Speed Food salad. Syn Free Chilli is great for cooking in bulk and freezing for future meals. Whether you want to take it to work or have as a quick evening meal when time is a bit more precious. 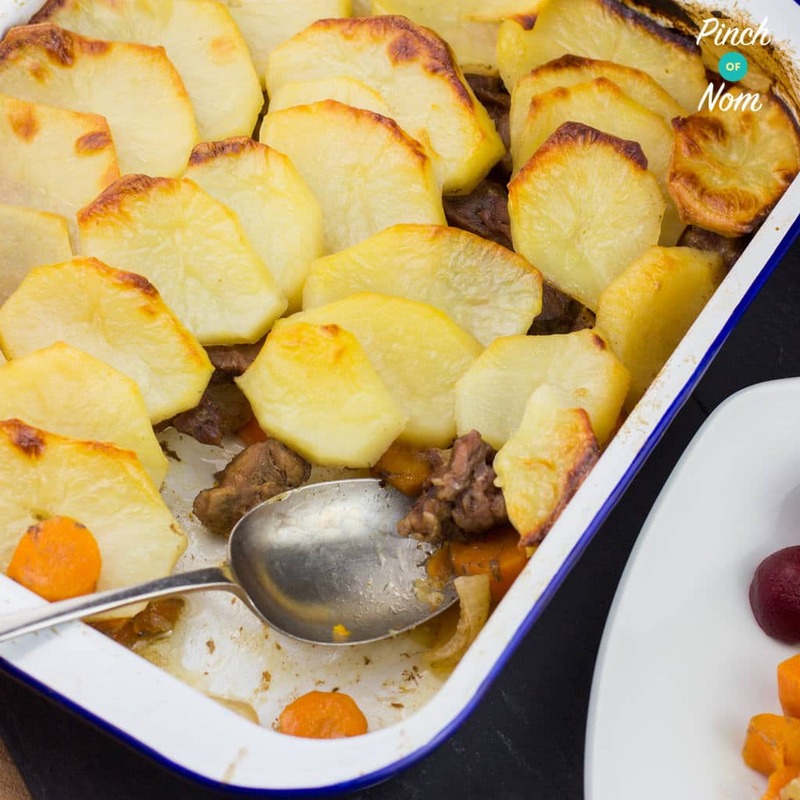 Something to cook when it’s cold outside and you’re wanting the food equivalent of a warm blanket, our Syn Free Lancashire Hotpot fulfils that brief perfectly. It earns it’s place in our top 50 Slimming World recipes due to the fact that it’s proper comfort food, but without the Syns. There’s little compromise compared to a non-Slimming World version when it comes to the taste. There’s many people over on our Facebook group who have made Syn Free Lancashire Hotpot and love it. Number 7 of our top 50 Slimming World recipes is Syn Free Crustless Quiche Lorraine. This recipe is fantastic as a packed lunch option. You can make it at the beginning of the week and portion it out across a few lunches. Syn Free Crustless Quiche Lorraine is also great for picnics, as it still tastes just as good when it’s cold. Team it up with a Speed Food salad and you’ve got yourself a lovely light meal to enjoy at home, or on the go! 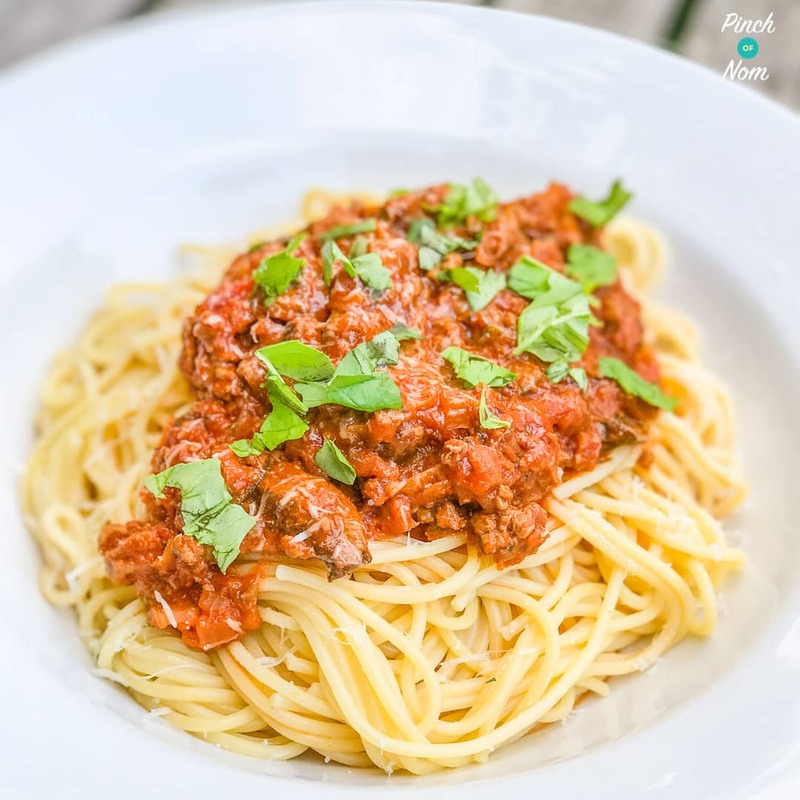 It can’t be a list of our top 50 Slimming World recipes without the absolute classic dish of Syn Free Spaghetti Bolognese! It’s a dish that everyone’s more than likely had at some point, and now you can make it completely Syn Free. Syn Free Spaghetti Bolognese is also a fantastic recipe to make in bulk, the Bolognese element at least. So you know that you’ve always got the majority of a hearty meal prepared that only requires some cooked pasta. Pulled pork is pretty much everywhere these days, so it’s only right that it’s in our top 50 Slimming World recipes. 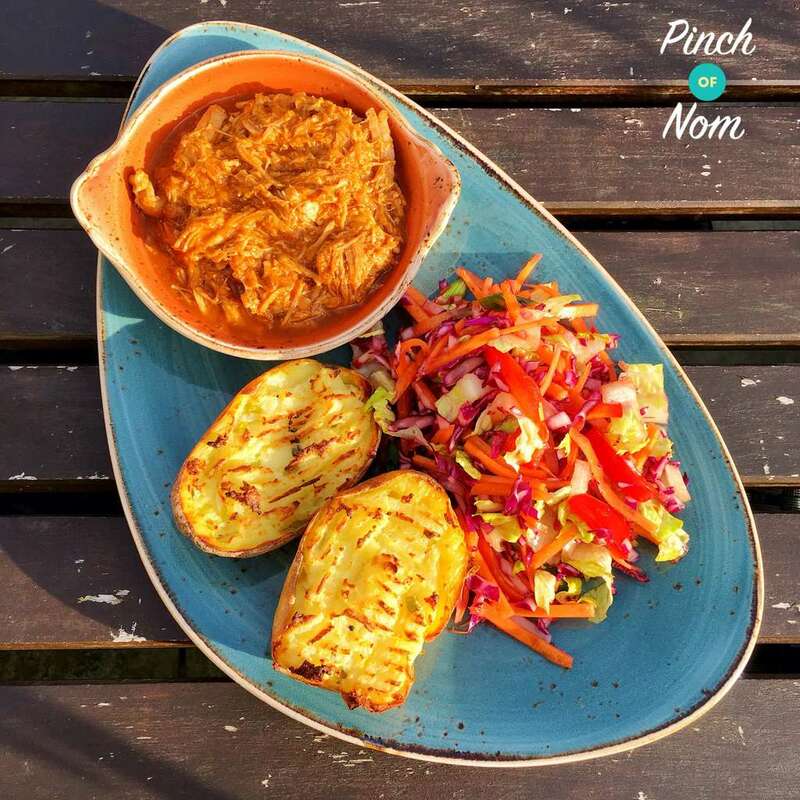 Syn Free Pulled Pork and BBQ Sauce is a dish that’s bound to please anyone who eats it simply from the smell alone! Of course, our Syn Free Pulled Pork and BBQ Sauce not only smells good, but tastes absolutely amazing too. It’s versatile, choose to serve it with whatever you fancy! Whether that’s a Speed Food salad, using your Healthy Extra B choice with bread or with some pasta. Low Syn Jerk Chicken takes our number 10 spot of our top 50 Slimming World recipes. For something that tastes as good as this dish does, the recipe and cooking process could not be simpler! 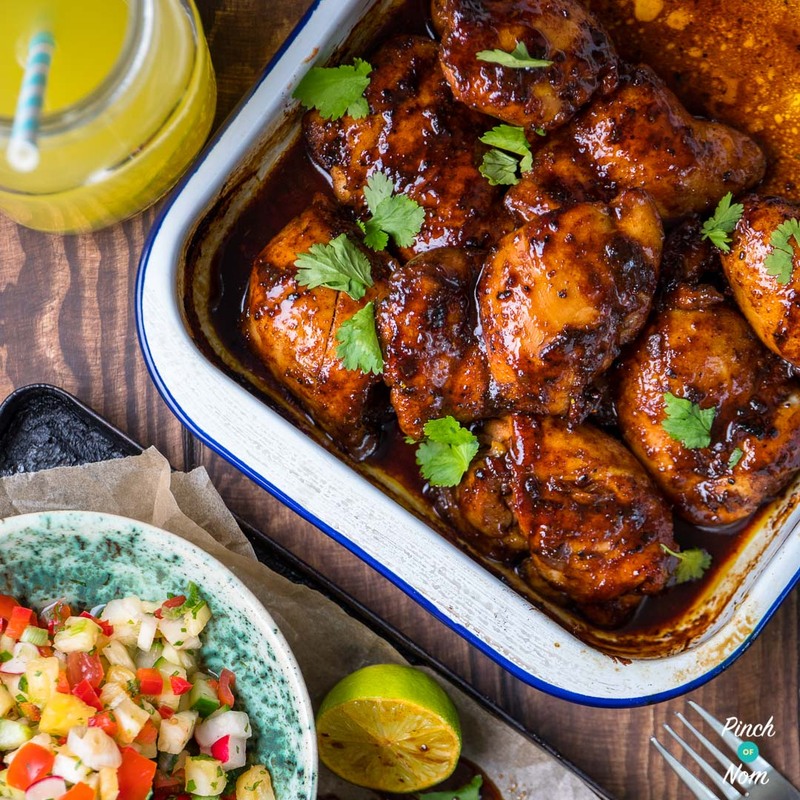 We’ve got loads of side dishes that you could serve Syn Free Jerk Chicken with, such as our Syn Free Pineapple Salsa that works amazingly with the Jerk seasoning on the chicken. However you choose to serve it, it’ll go down an absolute treat. 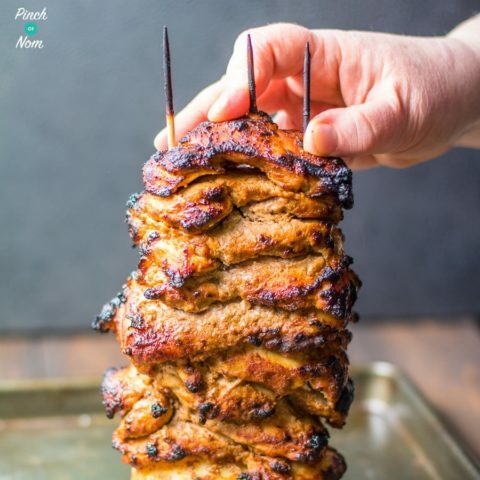 Syn Free Chicken Kebab has been recreated thousands of times over on our Facebook group and Instagram page, so we couldn’t not feature it as part of our top 50 Slimming World recipes. The construction of our Syn Free Chicken Kebab might appear to be a little odd, but the kebab stick wizardry is all worth it. What you’re left with is an amazing chicken kebab that’s completely Syn Free, who’d a thunk it! Now you can enjoy chicken kebabs of old that are completely Slimming World friendly. One of our more recent recipes to be added to the Pinch of Nom collection, next on our list of top 50 Slimming World recipes is our Low Syn Beef Stroganoff. Filled with lots of Speed Food mushrooms and other ingredients, it’s a well rounded meal that has the added advantage of being absolutely delicious. A really creamy, indulgent dish but with minimal Syns. Serve Low Syn Beef Stroganoff with rice and you’ve got yourself a cracking Slimming World meal! Number 13 might be unlucky for some, but on our list of the top 50 Slimming World recipes it’s anything but! 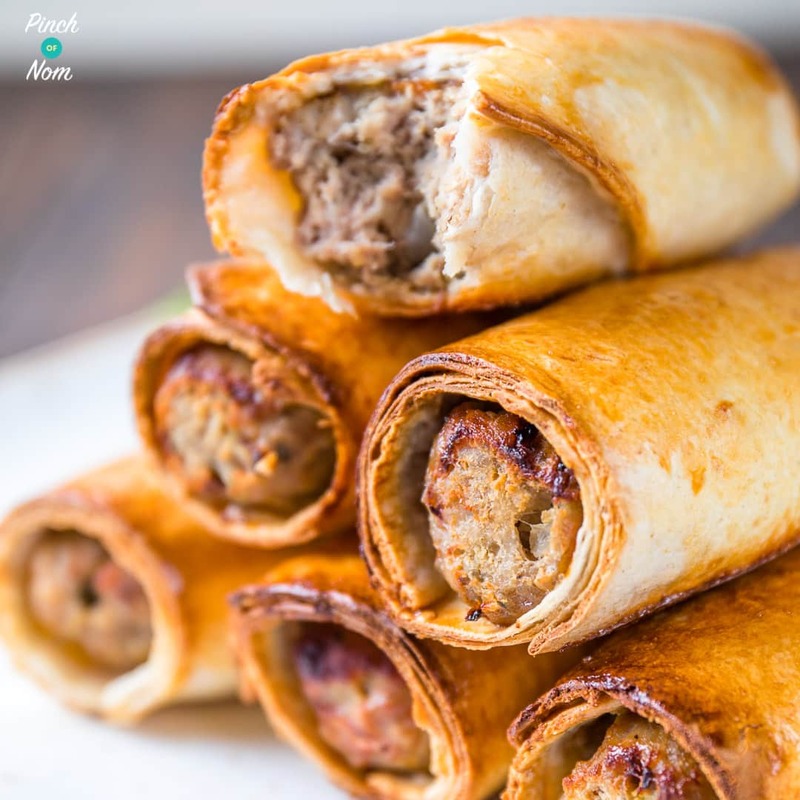 Our Syn Free Sausage Rolls take advantage of your Healthy Extra B choice to create the ultimate Slimming World Snack. 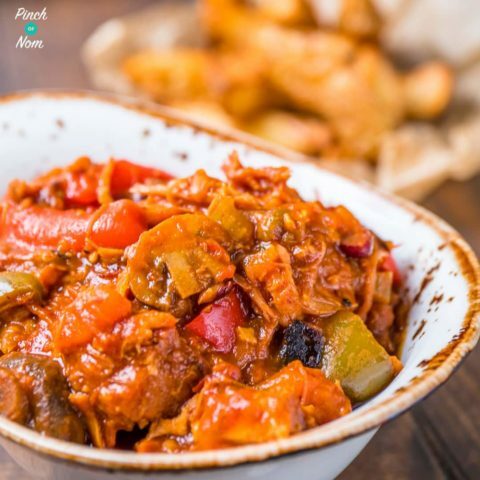 Syn Free Diet Coke – Pepsi Max Chicken makes it onto our list of top 50 Slimming World recipes due to the fact that you love it! We see on our Instagram page pretty much every day that people love to make this dish at home. 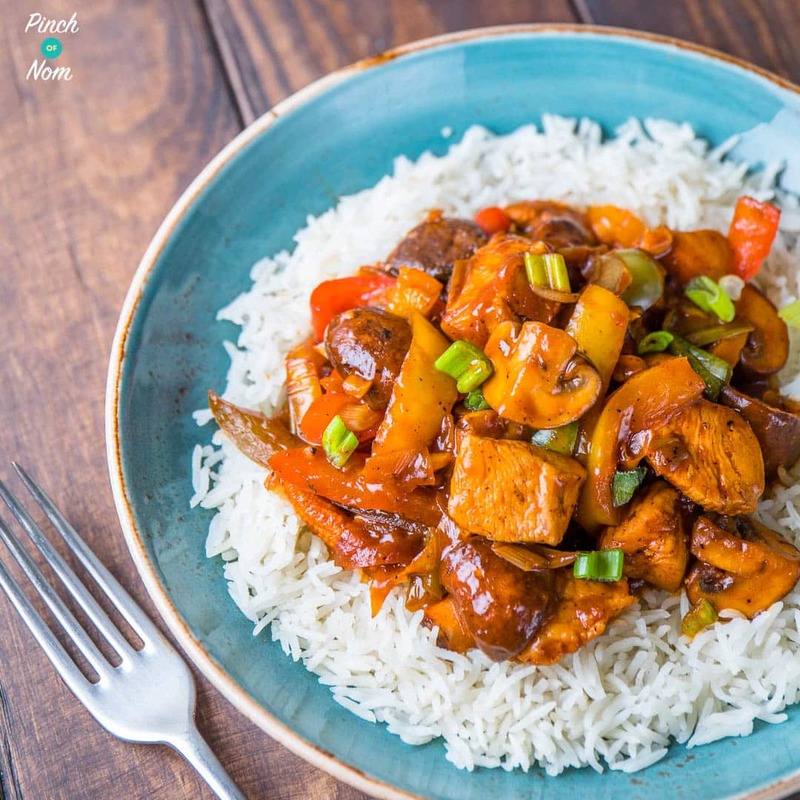 The great thing about Syn Free Diet Coke – Pepsi Max Chicken is that it’s packed full of Speed Foods, meaning that simply served with rice, you’ve got the perfect Slimming World plate of food. Don’t be put off by the name of this dish, Syn Free Dirty Rice is anything but! No wonder it’s on our list of top 50 Slimming World recipes, it’s been so popular since we published it. 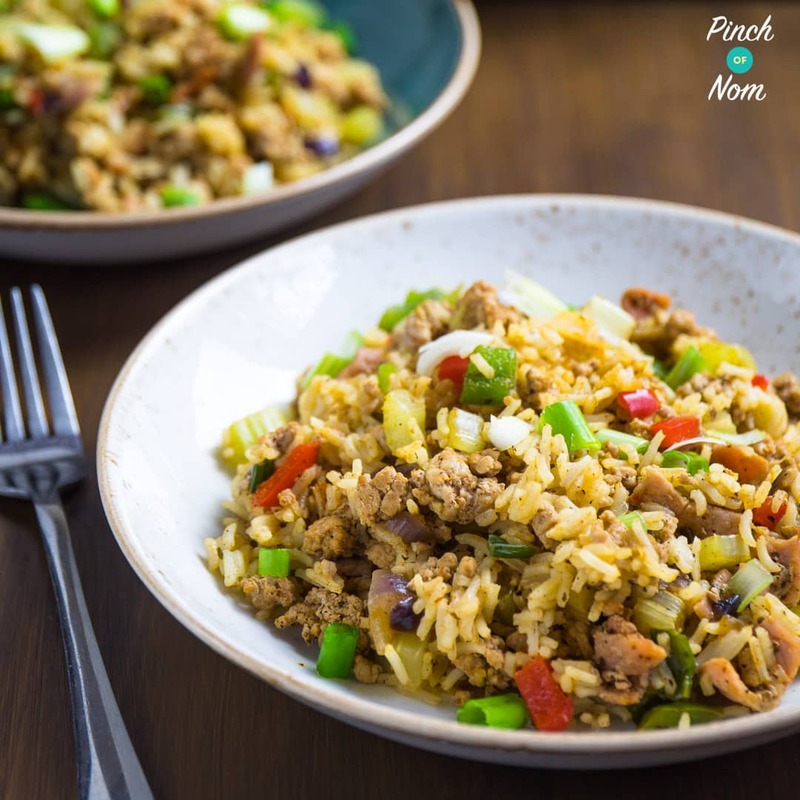 Dirty rice is a common street food dish, packed full of Speed Food ingredients and cooking it in the right manner means we’re able to bring you Syn Free Dirty Rice that’s just as good to eat, but Slimming World friendly! The first of the curry dishes in our top 50 Slimming World recipes, it’s our Syn Free Lamb Rogan Josh Curry. 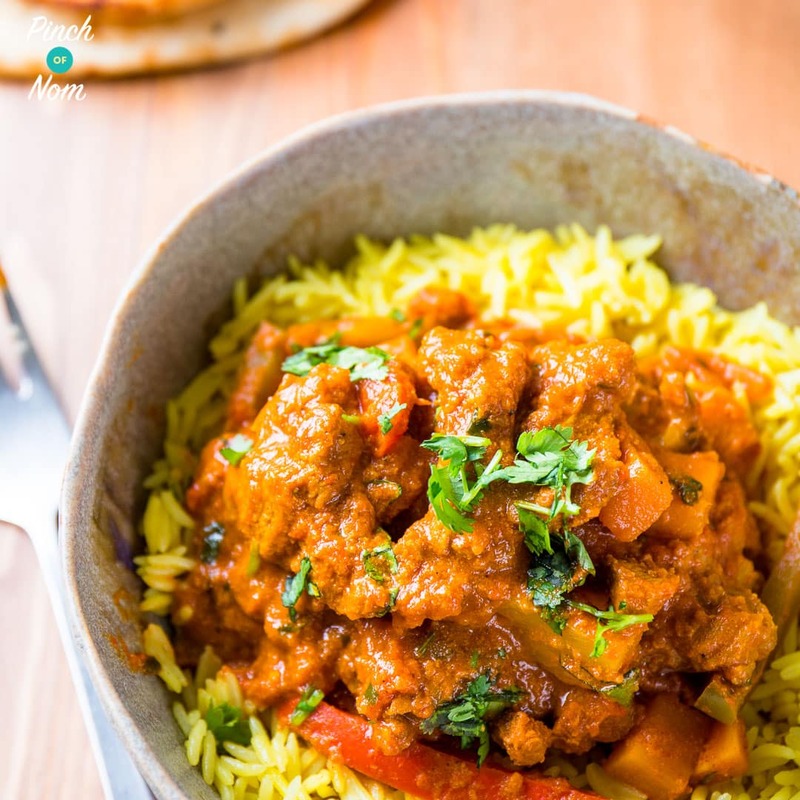 Slimming World members love a curry, and this curry does not disappoint in the slightest. Made with lots of Speed Food vegetables and creating it using a really easy recipe, you can prepare this in advance and enjoy later in the day. Syn Free Lamb Rogan Josh Curry makes great leftovers for the next day’s packed lunch too! 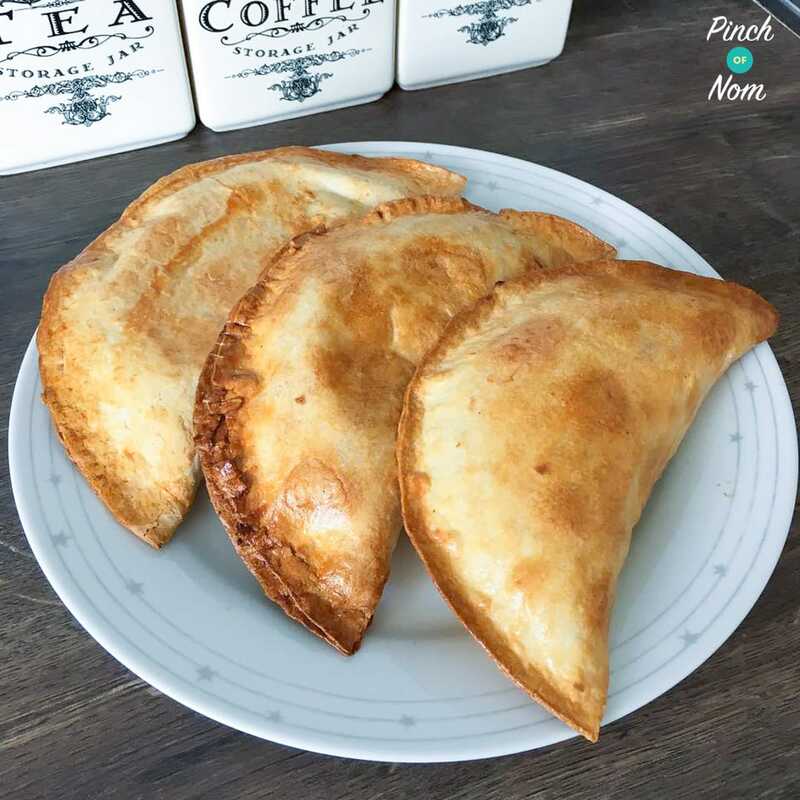 Number 17 of our top 50 Slimming World recipes belongs to a recipe that managed to pretty much wipe out the supplies of Weight Watchers wraps up and down the country (soz not soz), it’s our 1 Syn Corned Beef Pasties. These were first made by one of our Facebook group members who kindly let us feature the recipe on the Pinch of Nom website. Since then, 1 Syn Corned Beef Pasties have been enjoyed by A LOT of people! Team them up with a Speed Food salad or have them as an easy packed lunch, you’ll love them either way! Syn Free Potato Salad is next up on our list of the top 50 Slimming World recipes. It’s great for picnics and buffet tables alike. 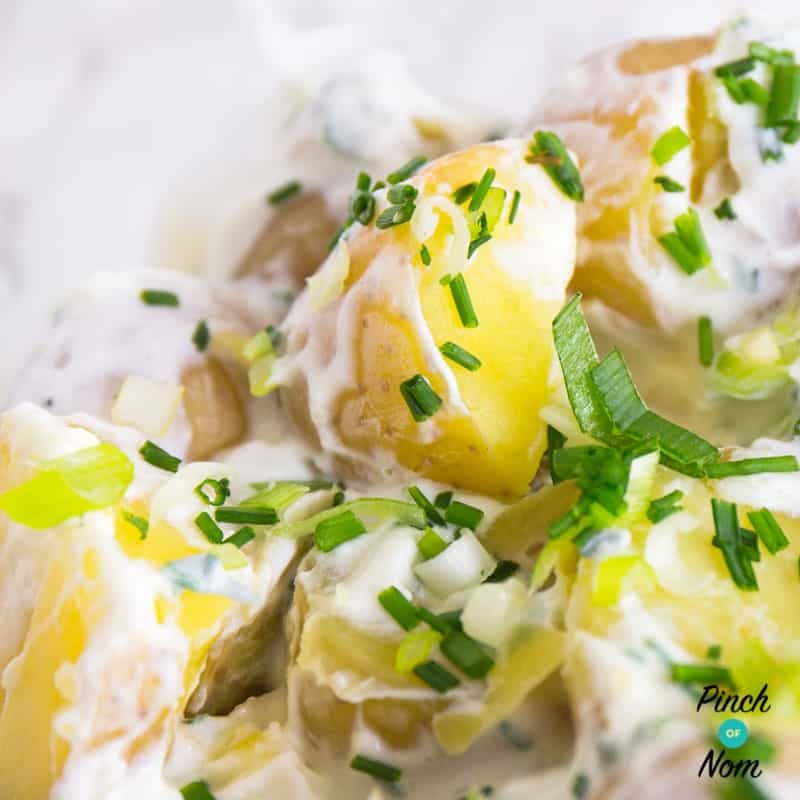 Made using only a few key ingredients and an easy to follow recipe, Syn Free Potato Salad is the perfect recipe to use when you’re after a big side dish. It’s great at BBQs too, especially if you’re taking food with you to a BBQ. A proper Slimming World staple! Similarly to the potato salad, our Syn Free Coleslaw is another of our top 50 Slimming World recipes that is perfect for making lots of, and then putting out on a buffet or BBQ table. Syn Free Coleslaw is made using plenty of Speed Food vegetables too, so you know that you’re getting a good fix of Speedy goodness whilst eating something that’s really creamy and delicious. Who doesn’t love a good dip?! Syn Free Hummus took a little while to perfect because we only publish recipes once they’re absolutely perfect. As soon as we came up with this recipe we knew we’d cracked it! 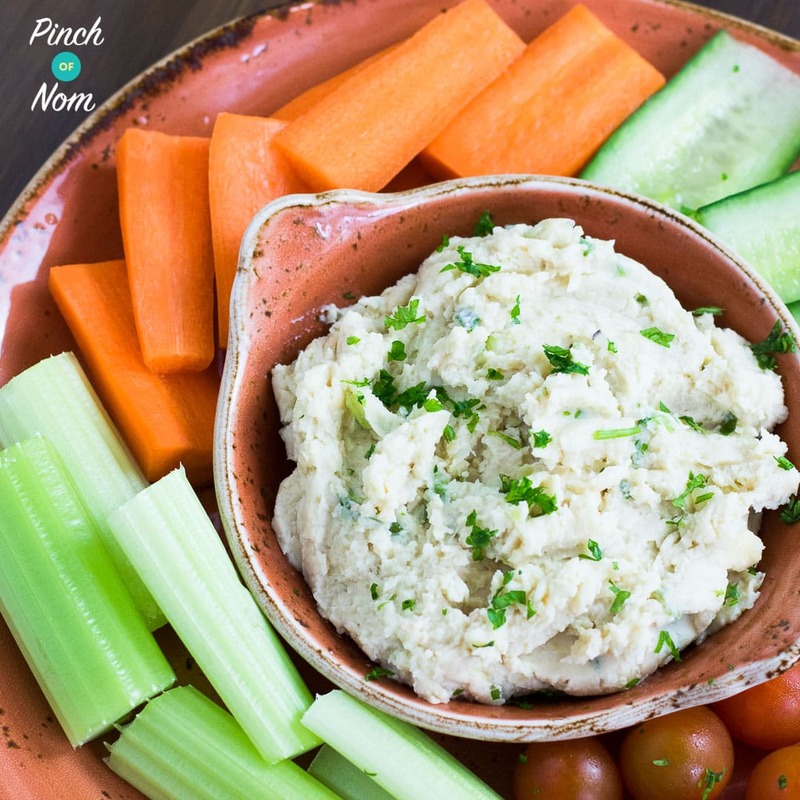 Syn Free Hummus is perfect to serve with lots of different Speed Food vegetables such as carrots, celery, cucumber and tomatoes. Use them to dip into the Syn Free Hummus and you’ve got yourself a fantastic lunch or addition to the buffet table. 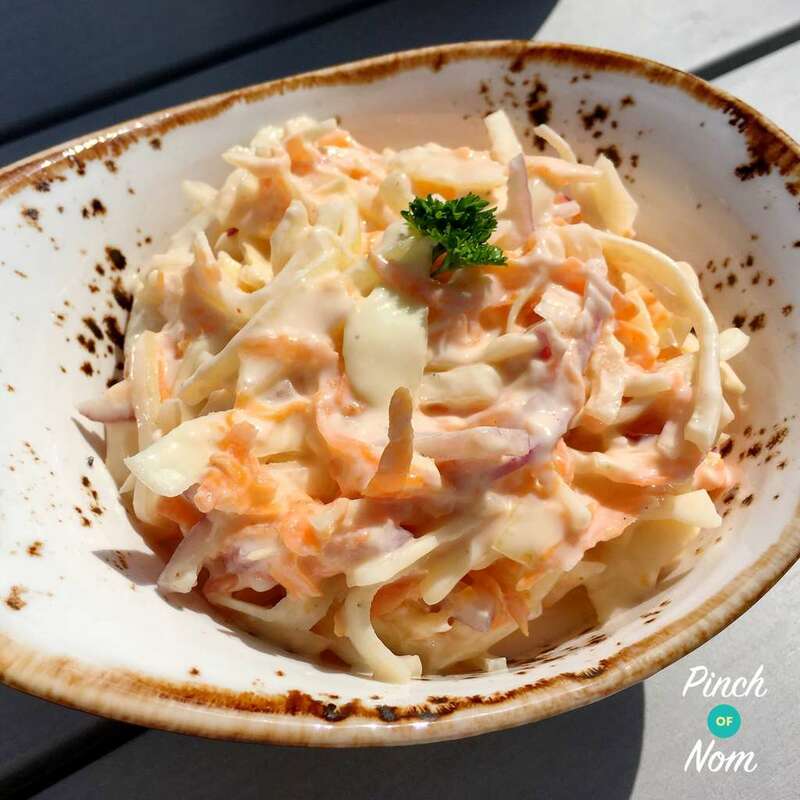 We love pasta dishes at Pinch of Nom, and our Syn Free Spaghetti Carbonara is no exception. It has a well earned place on our top 50 Slimming World recipes as it has the skill of tasting and looking like a Synful treat, when in fact it’s Syn Free! 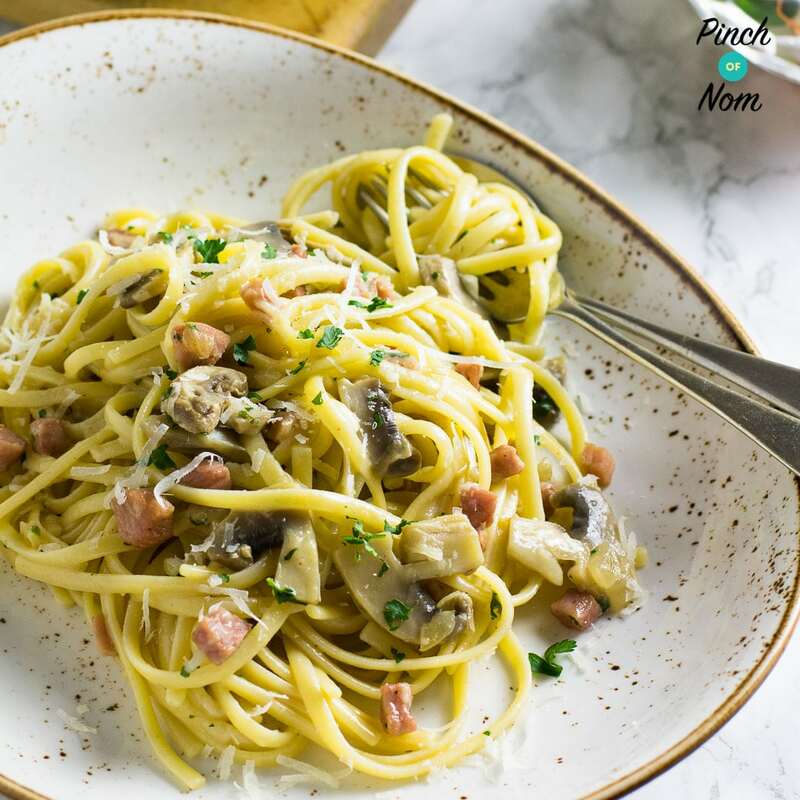 Made using just a few simple ingredients and processes, you can create Syn Free Spaghetti Carbonara in no time. Whoever the plate is placed in front of, they’re guaranteed to love it whether they’re a Slimming World member or not. 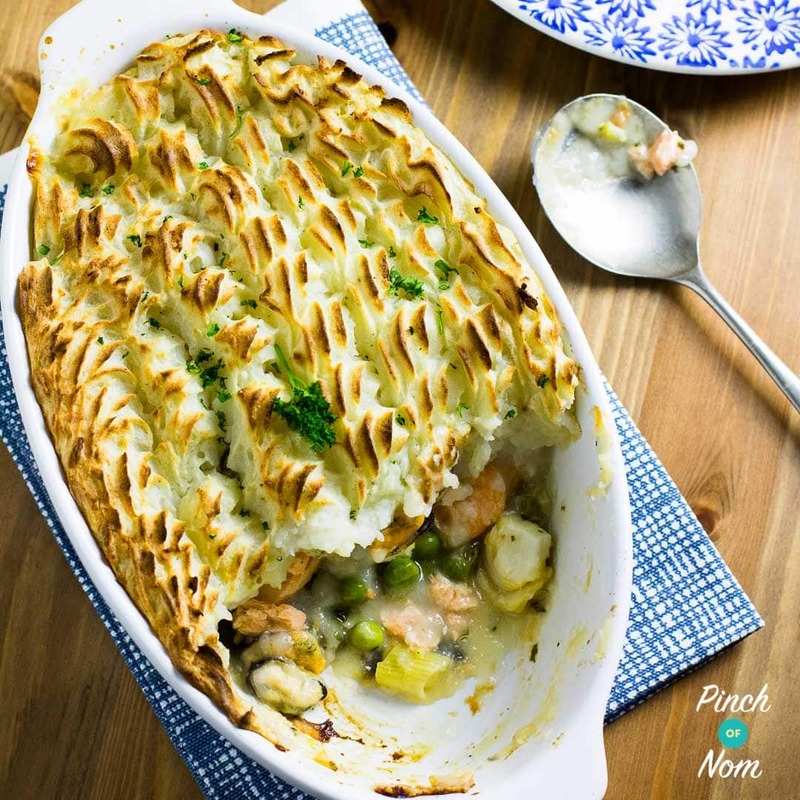 Syn Free Fish Pie has been a popular recipe ever since we published it, and it’s probably because it’s hard to believe that you can make something that’s traditionally made from lots of Synful ingredients, Syn Free! 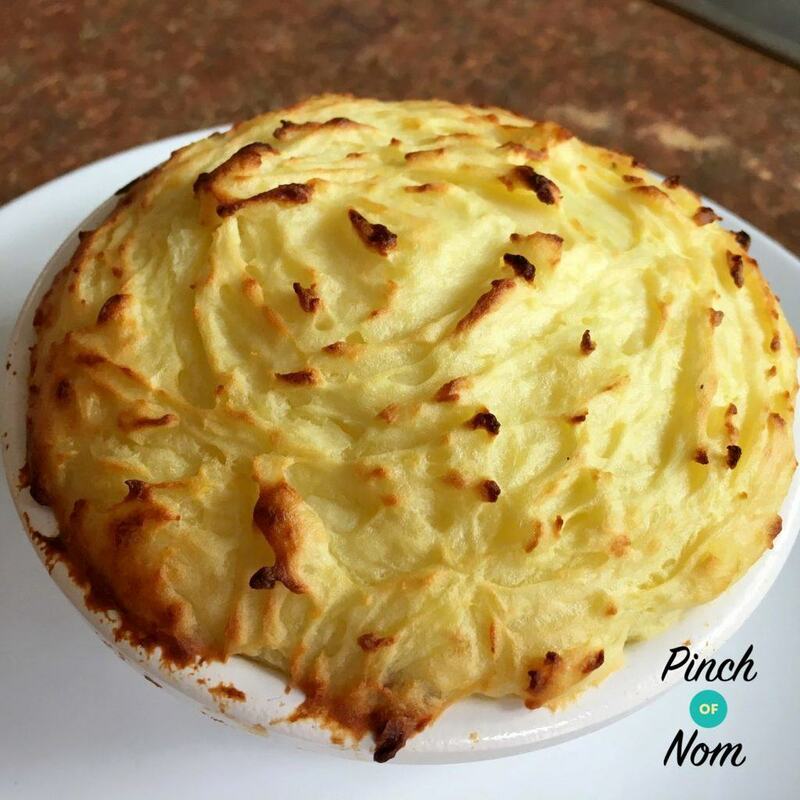 This of course meant that it had to have a place in our top 50 Slimming World recipes, judging by the amount of people who like to share their pictures of our Syn Free Fish Pie over on our Facebook group. 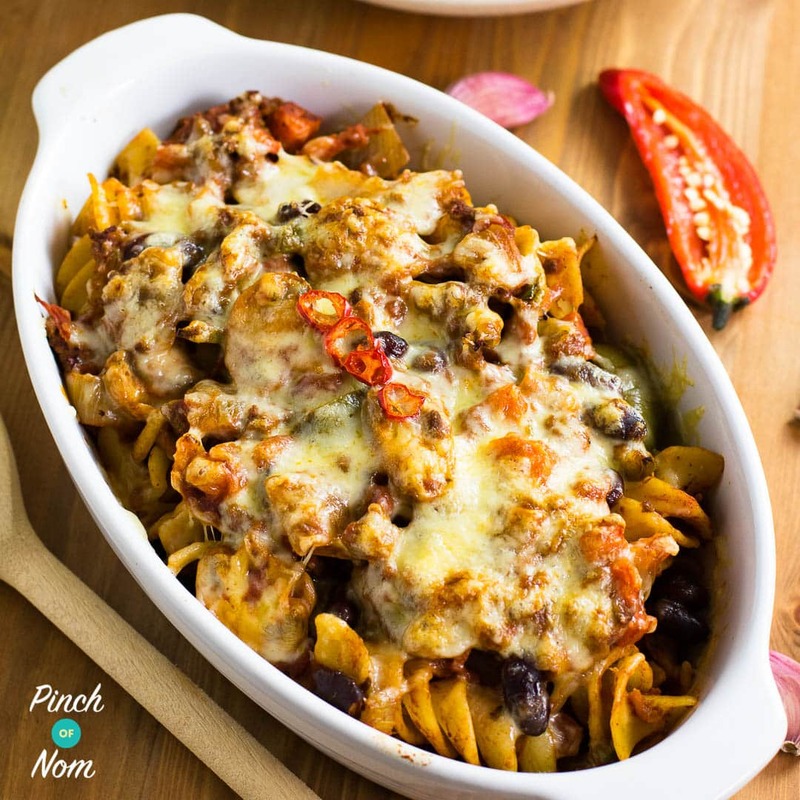 All you have to do is look at the picture of our Syn Free Chilli Pasta Bake to know why it’s in our top 50 Slimming World recipes, look at it! It’s an indulgent treat dish that’s super easy to make, and completely Syn Free when you use your Healthy Extra allowance for the cheese. Make it with any pasta shape, accompany it with a Speed Food salad and you’ve got yourself the perfect family meal. Even better, portion it out into containers and enjoy Syn Free Chilli Pasta Bake for lunches and easy evening meals throughout the week! Go to many restaurants and pubs up and down the country and you’ll see cheesy garlic bread on the menu. Then you remember that you’re following Slimming World and it really wouldn’t do you any favours. 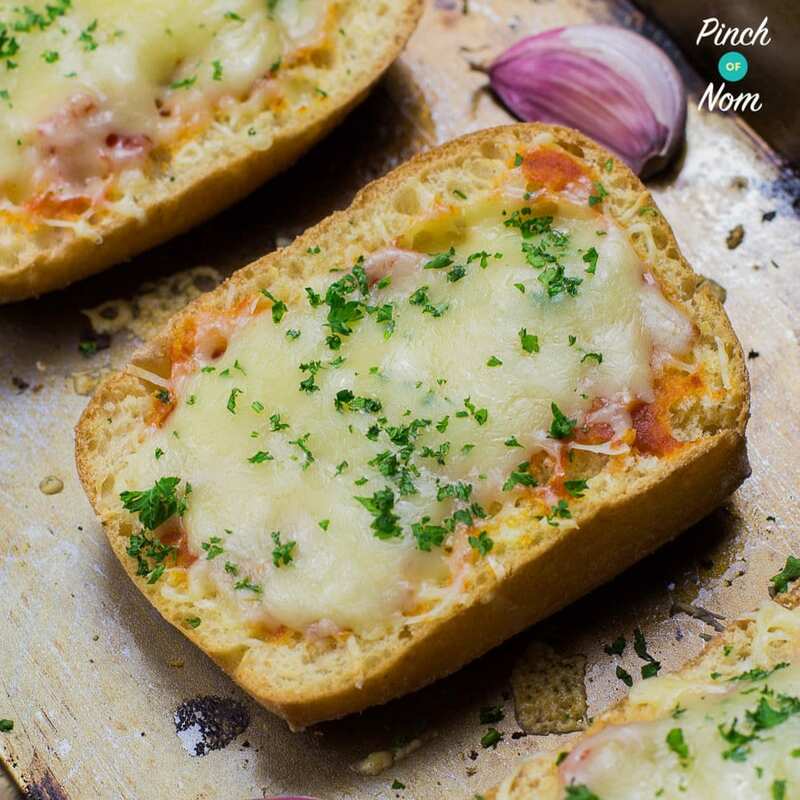 Fear not, the next of our top 50 Slimming World recipes is the mothership of side dishes, Syn Free Cheesy Garlic Bread. It’s made possible by using both of your Healthy Extra choices, meaning you can enjoy it with whatever you decide to serve it along with! We’re at the half way mark of our top 50 Slimming World recipes, so what better way of celebrating than with this almighty sweet treat. It’s our Low Syn Banana and Chocolate Pancakes. 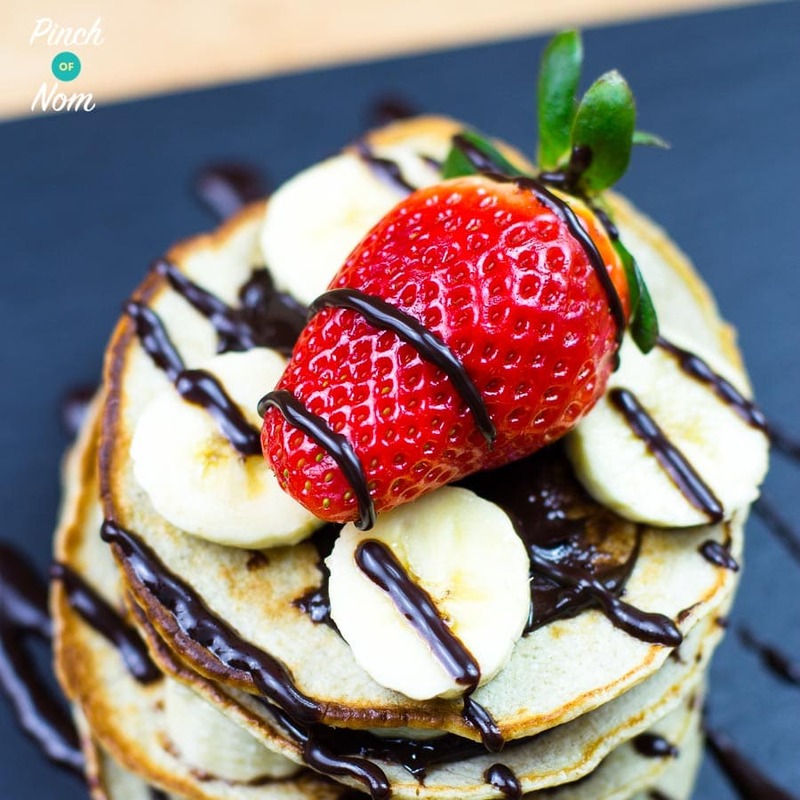 You can make these for breakfast, lunch or enjoy them as a dessert, just make sure you make enough Low Syn Banana and Chocolate Pancakes for everyone else who will be trying to steal yours! At the time of writing this list of the top 50 Slimming World recipes it’s the hottest day of the year, but that doesn’t prevent us from craving colder weather to enjoy this cosy treat, it’s our Half Syn Cumberland Pie. Great for providing you and whoever you’re cooking for with a hearty, warming dish without lots of Syns, Half Syn Cumberland Pie is likely to be cooked again and again. There’s also plenty of Speed Food vegetables in the recipe, so all Slimming World bases are covered! 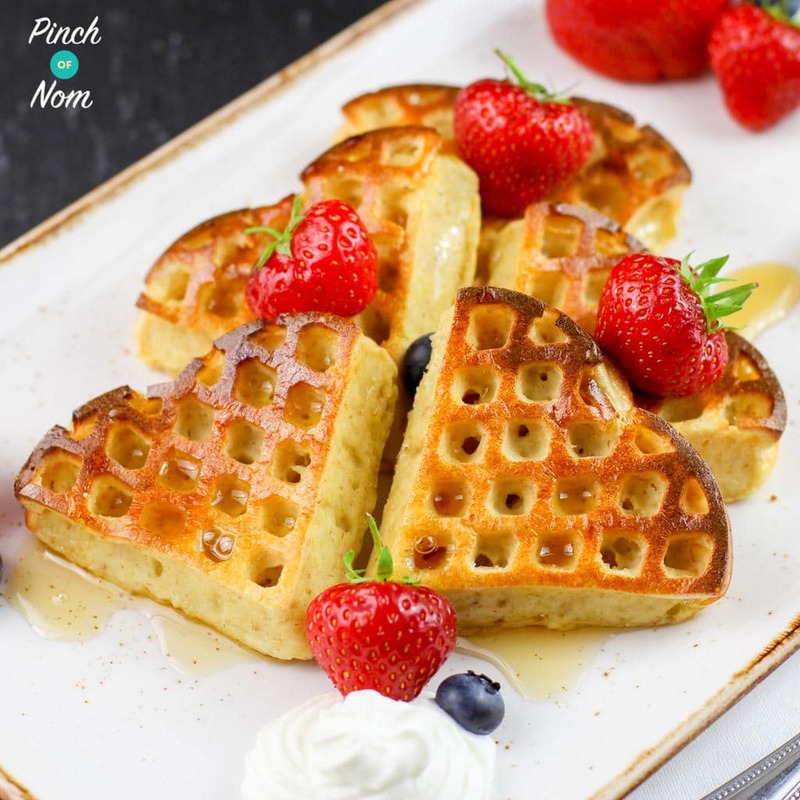 Another sweet treat in our top 50 Slimming World recipes now, our Syn Free Strawberry and Vanilla Waffles can be enjoyed in a variety of ways and are guaranteed to be cooked time and time again. You only need a few key ingredients and kitchen utensils to create our Syn Free Strawberry and Vanilla Waffles. You can enjoy them as a dessert, or if you’ve got a proper sweet tooth you could make them for your breakfast! Either way, they’re a bit delish. What better side dish can you add to your Sunday lunch?! 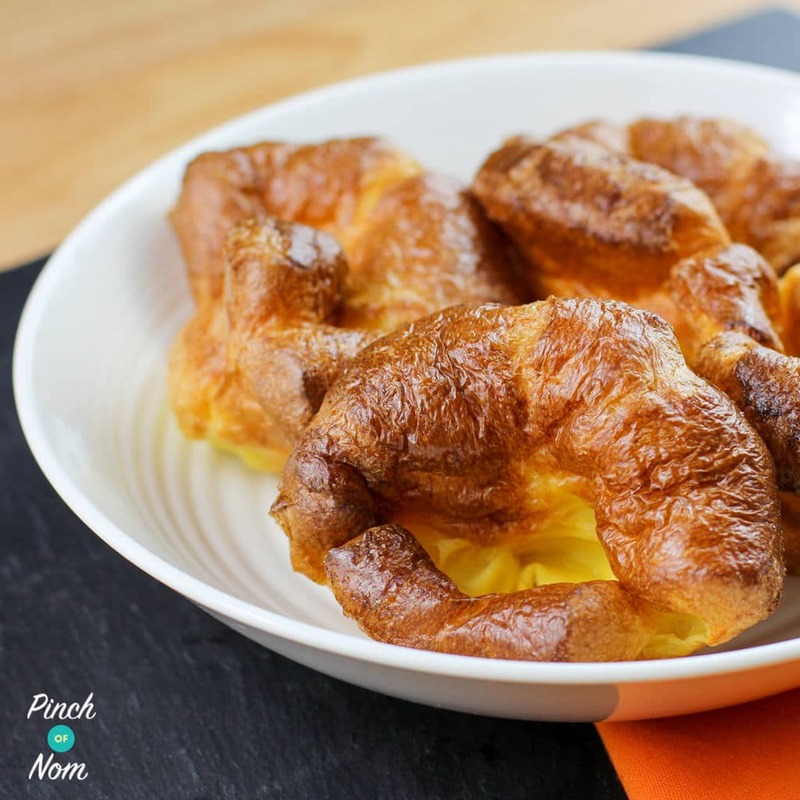 Next on our list of top 50 Slimming World recipes are our 1.5 Syn Yorkshire Puddings. We get so many people posting pictures of their Sunday lunches on our Instagram page and Facebook group showing off their 1.5 Syn Yorkshire Puddings! It’s not hard to see why, they’re simple to make and taste just as good as ‘proper’ Yorkshires! Continuing the Sunday dinner theme, our Syn Free Gravy is an absolute must for a roast dinner! The question of ‘Can you make gravy Syn free?’ comes up on our Facebook group a lot, so it well deserves it’s place in our top 50 Slimming World recipes. 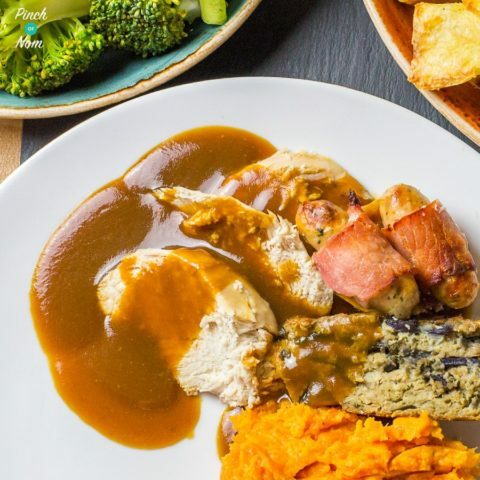 Syn Free Gravy is a doddle to make, and you could make it in one huge batch and freeze portions of it, meaning you’ve always got Syn Free Gravy available whenever you fancy it! 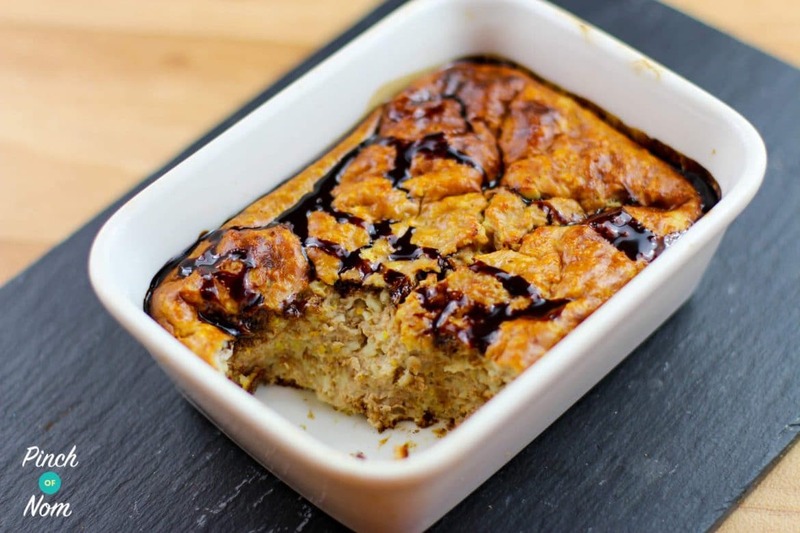 We adore baked oats at Pinch of Nom, and Low Syn Chocolate and Orange Baked Oats are one of our ultimate favourites! That’s why they’re in our top 50 Slimming World recipes. As with all of our baked oats recipes, Low Syn Chocolate and Orange Baked Oats are simple to prepare and cook, and of course they taste delicious. Chocolate and orange are two flavours that have an incredibly happy marriage, so there’s no question that this tastes so good! Time for another curry dish in our top 50 Slimming World recipes now, and it’s one that will more than likely suit everyone who will try it! It’s our 2 Syn Chicken Korma Curry. 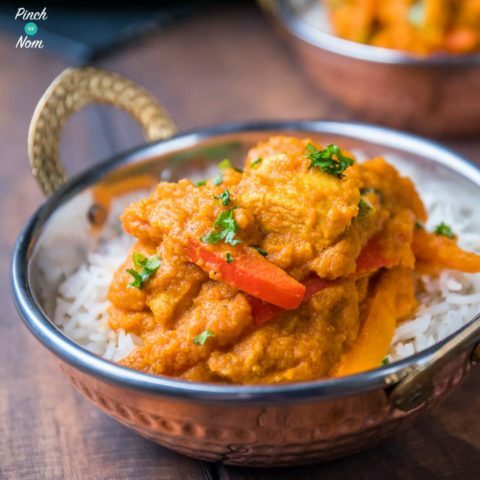 As with a traditional Korma that you’l find in the supermarkets or at your local Indian restaurant, 2 Syn Chicken Korma Curry isn’t a spicy curry. It’s gently spiced with herbs and spices to give it that authentic, creamy flavour. Fakeaways have been a feature of our top 50 Slimming World recipes, and it’s not hard to see why. You love them as much as we do! Especially our Syn Free Salt and Pepper Chicken. Many people on both our Facebook group and Instagram page tell us so often that whenever they make our Syn Free Salt and Pepper Chicken, it tastes just as good (if not better!) than the Chinese takeaway version. Perfect for a weekend treat! It’s the Chinese fakeaway continued at number 33 of our top 50 Slimming World recipes, and it’s an absolute corker of a dish. Our Syn Free Salt and Pepper Chips aren’t for the faint hearted on the spice scale! Saying that, as with many of our recipes you can tailor the spice level to your own tastes. Syn Free Salt and Pepper Chips are often shared over on our Instagram page as the perfect side dish to any Chinese fakeaway feast. 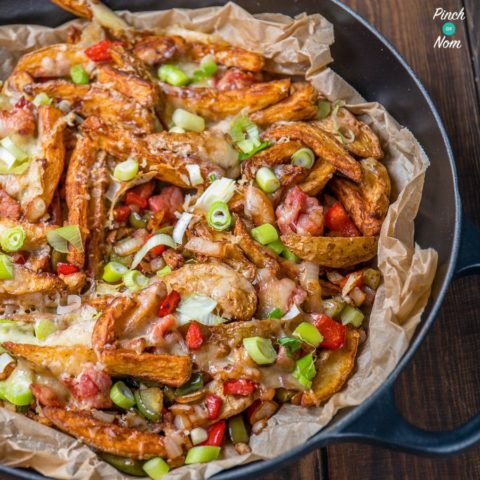 Whilst we’re on the subject of chips, our Syn Free Dirty Fries are hugely popular and it’s very easy to see why they’re one of our top 50 Slimming World recipes. Dirty Fries have become very ‘trendy’ over the last few years, with many restaurants and food outlets now offering them on the menu. Only problem? They’re never going to be Slimming World friendly. By making them with plenty of Speed Food vegetables and your Healthy Extra allowance of cheese, we’ve managed to make Syn Free Dirty Fries… Syn Free! 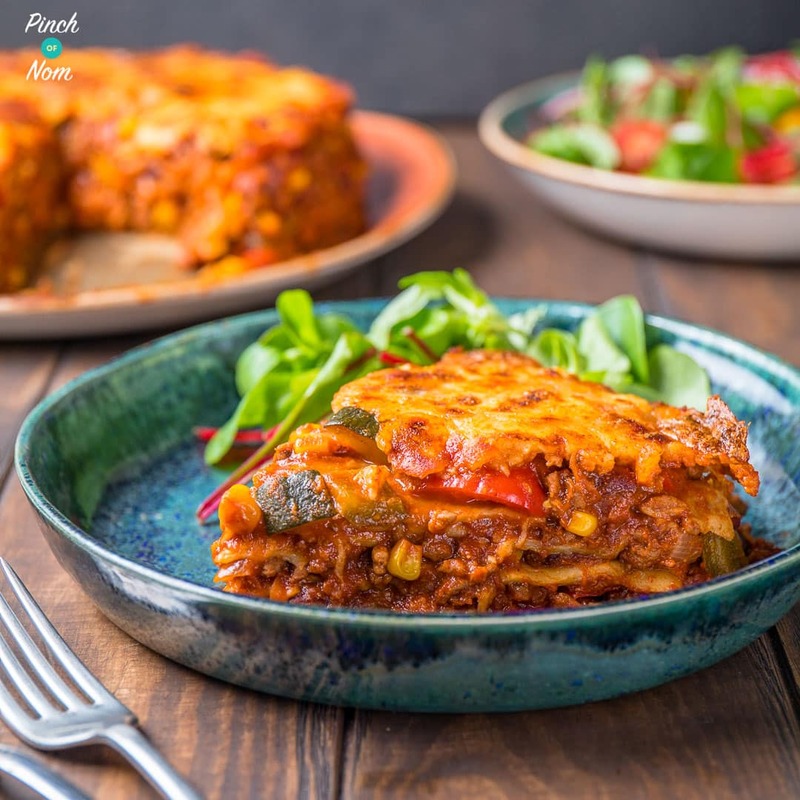 Syn Free Enchilada Lasagne is one of our most recent recipes published onto the Pinch of Nom website, but that hasn’t stopped it fast becoming one of our most popular recipes to date. It’s in our top 50 Slimming World recipes because of how easy it is to create something that’s both so delicious and impressive to serve to the table. 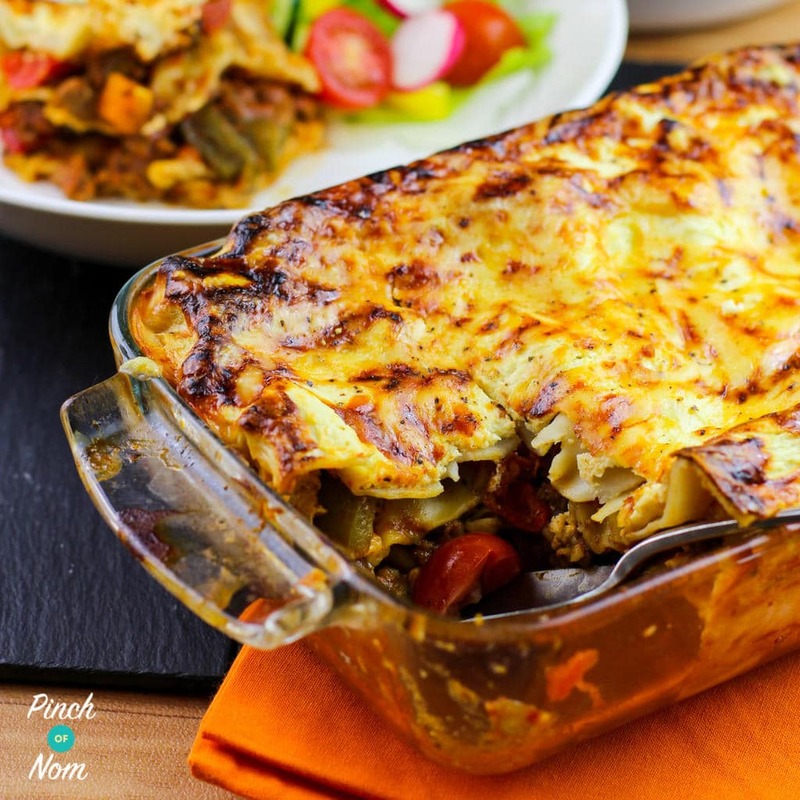 Whoever you’re making Syn Free Enchilada Lasagne for, they will love it! Number 37 of our top 50 Slimming World Recipes belongs to a more traditional Syn Free Lasagne. Don’t be fooled by it’s humble appearance, it’s a brilliant recipe that’s likely to be cooked more than once! 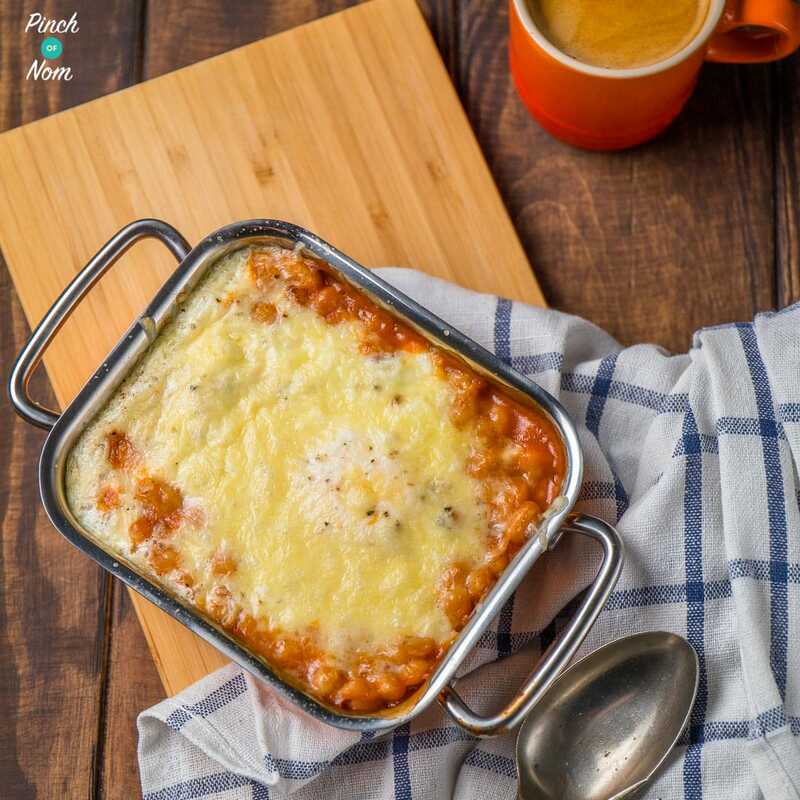 Syn Free Lasagne is packed full of Speed Food, and has still got the traditional creamy, cheesy topping thanks to using your Healthy Extra allowance of cheese and a nifty little trick with Quark. There’s plenty of side dishes to accompany Syn Free Lasagne with, too. 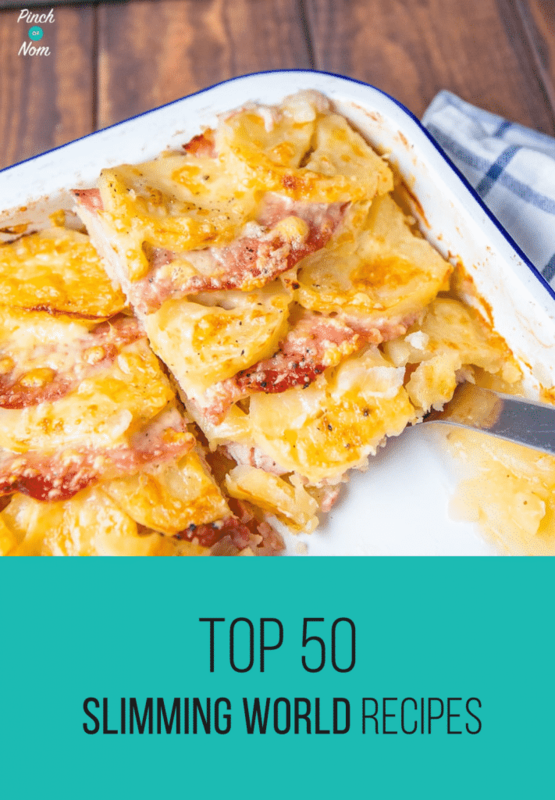 Lots of them are in this list of top 50 Slimming World recipes in fact! Sticking with traditional, home cooked dishes, next on our top 50 Slimming World recipes is our Syn Free Cottage Pie. Even if you’ve been making cottage pie a very particular way for years, it isn’t hard at all to adapt your recipe slightly to create our Syn Free Cottage Pie. 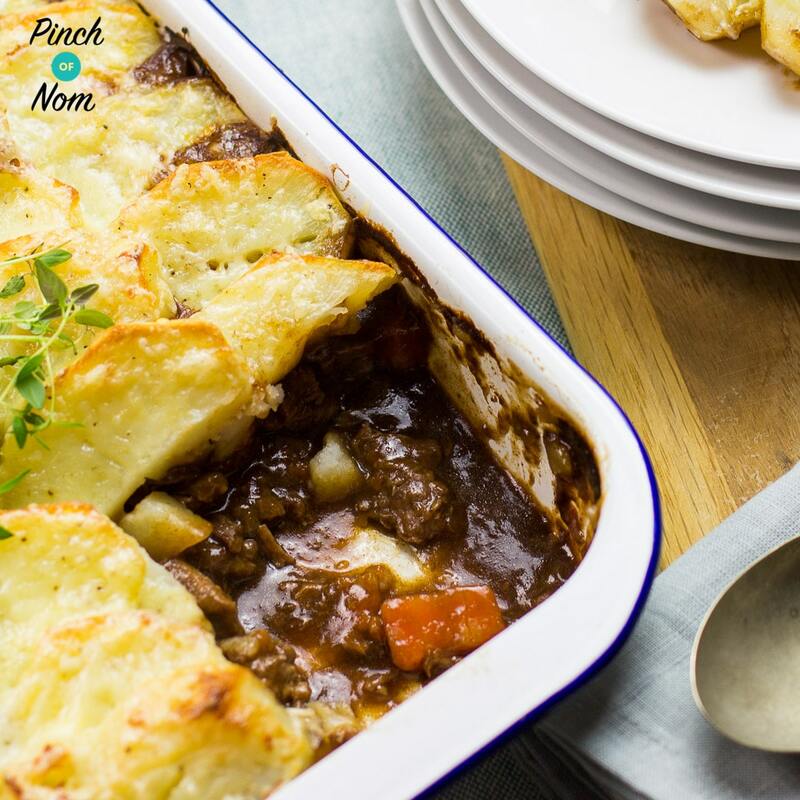 You might think by making it into a Syn Free Cottage Pie that it won’t taste half as good as the ‘proper’ one, but you’ll be pleasantly surprised at just how nice it is. Serve it up with your favourite Speed Food vegetables and you’re onto a winner. Breakfasts can sometimes be a bit of a mission when you’re craving something hearty and substantial, but also need to keep it Slimming World friendly. Look no further than number 38 of our top 50 Slimming World recipes, our Syn Free Breakfast Bakes. 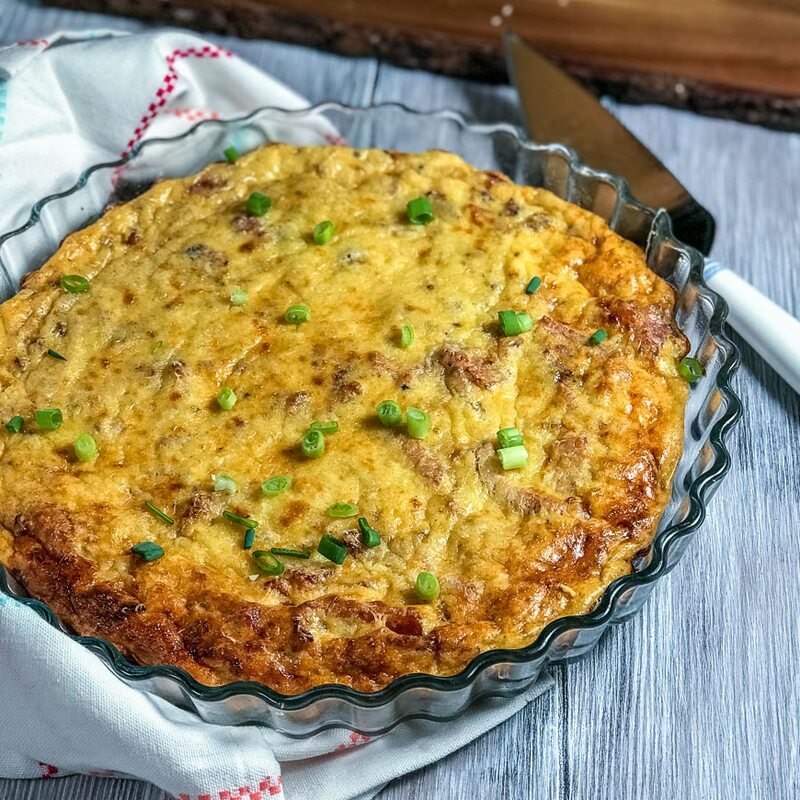 They’re a relatively recent addition onto the Pinch of Nom website, but this hasn’t stopped Syn Free Breakfast Bakes becoming a firm breakfast favourite. We see so many people making them on our Facebook group and Instagram page! The first of our soup selection to enter the top 50 Slimming World recipes, and it’s a gooden! Our Syn Free French Onion Soup was inspired by seeing it on the menus of so many restaurants, but definitely not in a Slimming World friendly form! As with all our soup recipes, Syn Free French Onion Soup is really easy to create, and a thoroughly tasty lunch time option. You could indeed make it as part of a Slimming World dinner party, it’s the perfect starter. On first glance of this recipe, it might sound a little abnormal. With the amount of people we have recreating it on our Instagram page , it seems that this isn’t an issue and people love it! Number 40 of our top 50 Slimming World recipes is our Syn Free Chicken Fajita Pasta. Made using chicken with Fajita flavours and containing plenty of Speed Food vegetables, it’s little wonder that it’s becoming a Slimming World favourite. 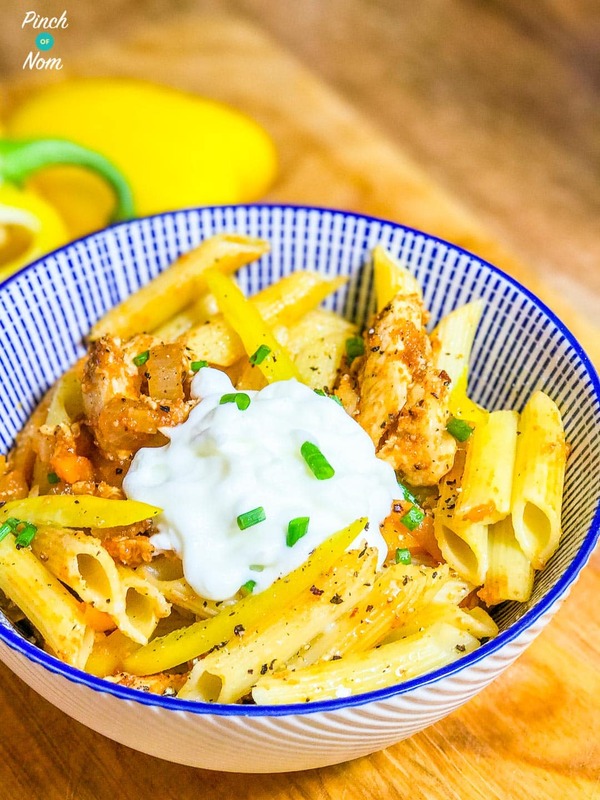 We’ve seen on our Facebook group that Syn Free Chicken Fajita Pasta has also a popular lunchtime leftover meal, why not?! 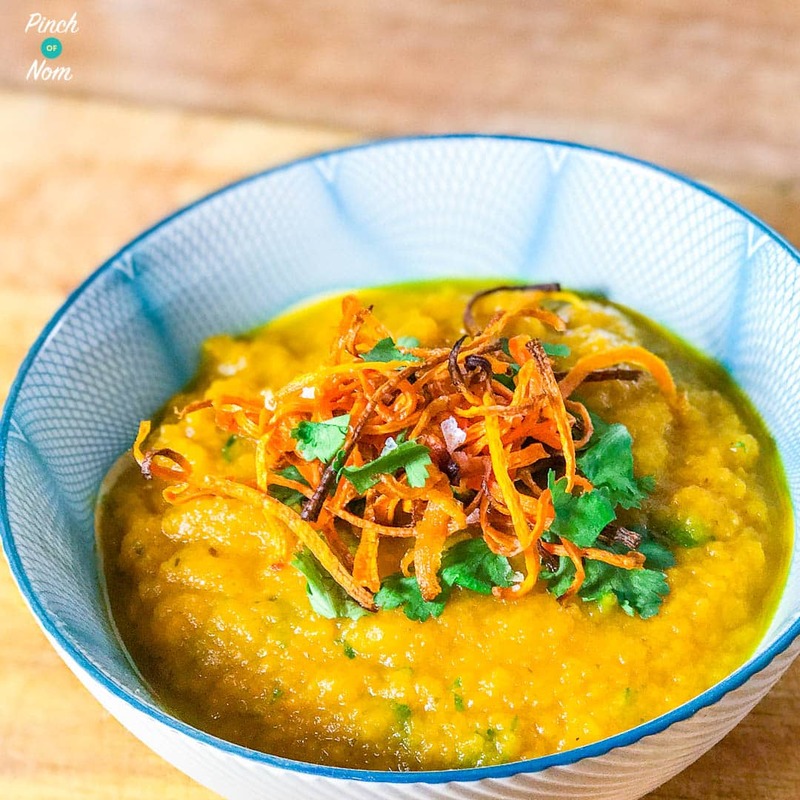 Another of our soups to be featured in our top 50 Slimming World recipes, it’s our version of Syn Free Carrot and Coriander Soup. You’ll find all different types and brands of carrot and coriander soup on the shelves of the supermarket, but you pay the price for the convenience in Syns. We say convenience, our Syn Free Carrot and Coriander Soup really couldn’t be much easier to make! It’s packed full of speedy Carrots too, so you know you’ll be getting a lovely, balanced Slimming World meal. Using Weight Watchers wraps are a brilliant way of incorporating your Healthy Extra B allowance into a meal. 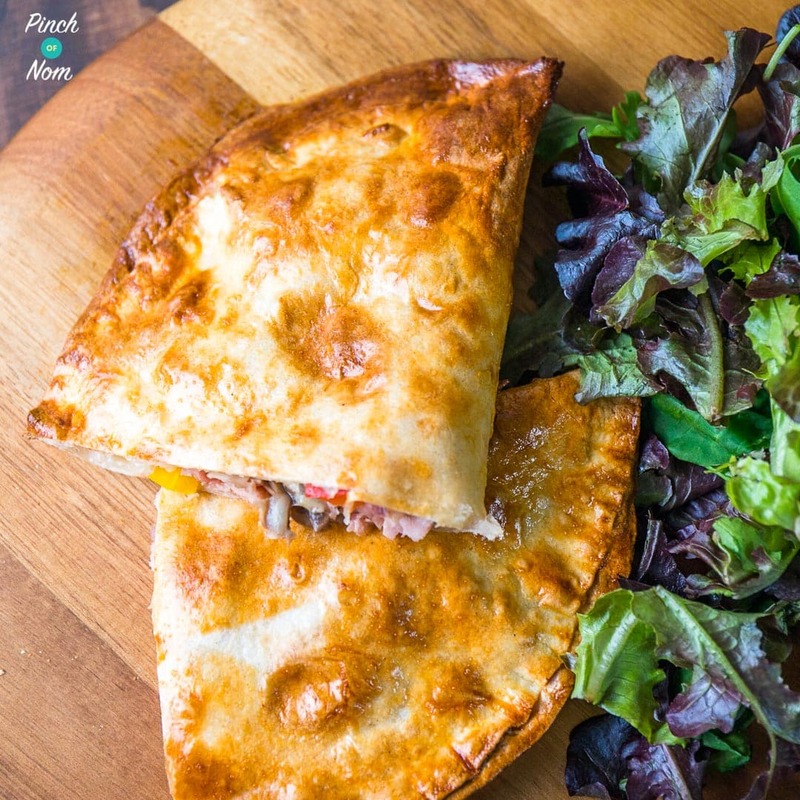 Our Syn Free Ham and Mushroom Pizza Calzones are the perfect way to use them. Syn Free Ham and Mushrooms Pizza Calzones contain lots of Speed Food vegetables, which not only makes it a really good Slimming World meal, but also means they taste so good! Perfect for lunches, main meals and picnics. 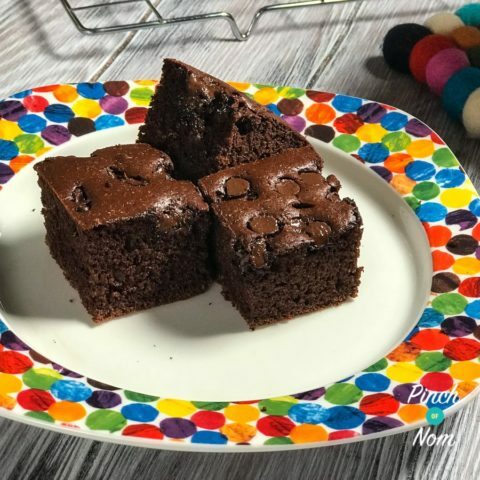 Time for a little trip down the desserts aisle of our top 50 Slimming World recipes, kicking things off with our super chocolatey Low Syn Chocolate Brownies. We’re particularly proud of these beauties, seeing as they make the perfect Slimming World dessert option. One of the issues that people have had with our Low Syn Chocolate Brownies over on our Instagram page is that they get stolen by other family members, they’re THAT good! 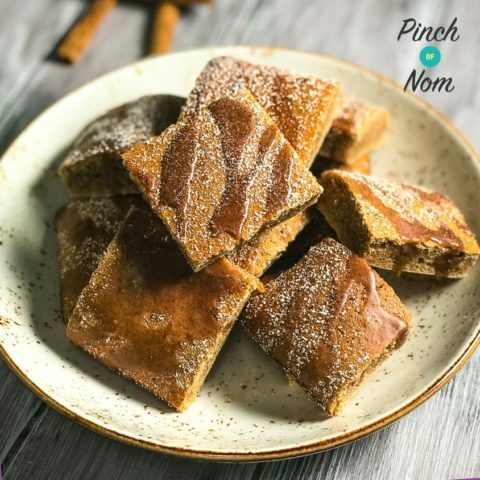 Low Syn Cinnamon Drizzle Squares are a Slimming World dessert that is perfect for those who like a little bit of a spice to their desserts. Great if you’ve not got a massive sweet tooth but still require something sweet. It’s little wonder they they’re in our top 50 Slimming World recipes, you love to share your photos of the Low Syn Cinnamon Drizzle Squares. You’ve created loads over on our Facebook group and Instagram page. We love to see them! We’re nearing the end of our top 50 Slimming World recipes, and as they’re in no particular order the end of the list is just as good as the start! 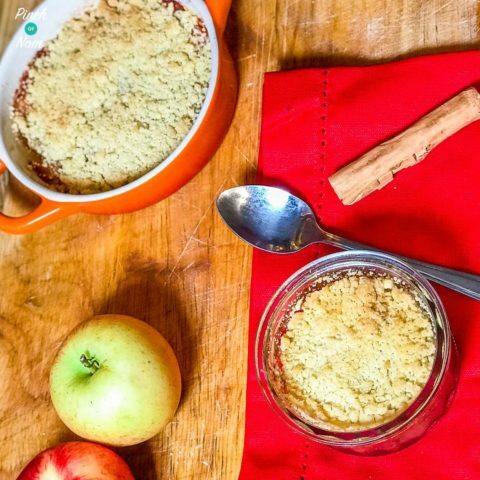 We’ve designed Low Syn Apple Crumbles to be made in ramekins, making them much easier to portion out and control the Syns, of which there are very few! These crumbles are fantastic for Slimming World dinner parties. It’s worth saving some Syns and having a little bit of ice cream with them. 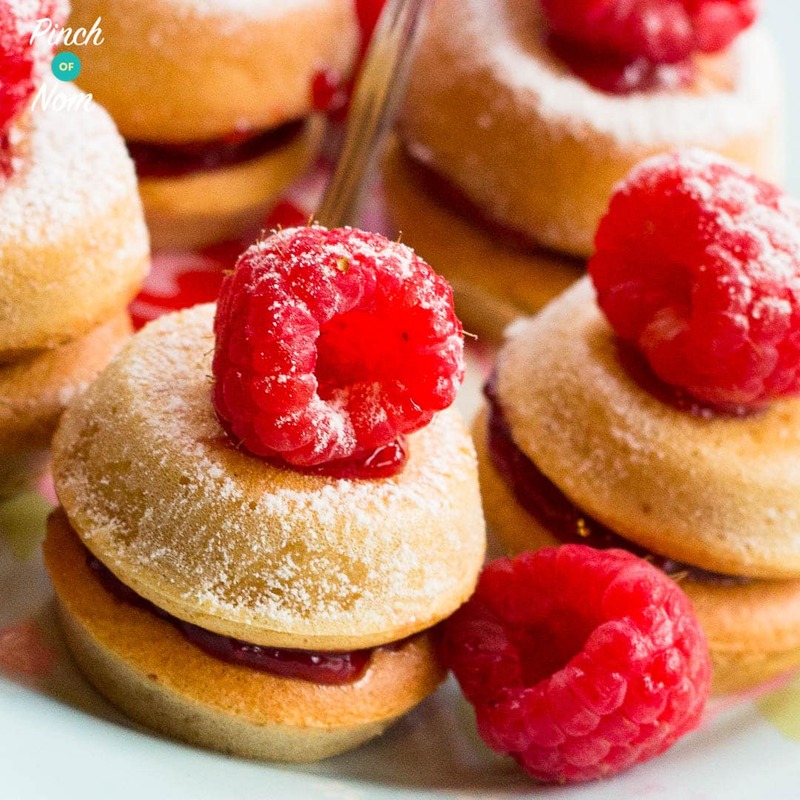 The last of our desserts in our top 50 Slimming World recipes, and what better to end on than Low Syn Mini Victoria Sponge Cakes. Cake is something that Slimming World members can really struggle to cut out of their diets. It’s everywhere! With our Low Syn Mini Victoria Sponge Cakes, you need not miss out on a cakey treat. They’re fab for buffet tables, Slimming World group tasters and having in the kitchen when friends pop round for a coffee. A well deserved savoury hit now in our top 50 Slimming World recipes, and what better savoury delight than our Low Syn KFC Zinger Burgers. These make good use of your Healthy Extra B allowance, making them a fully rounded Slimming World meal. 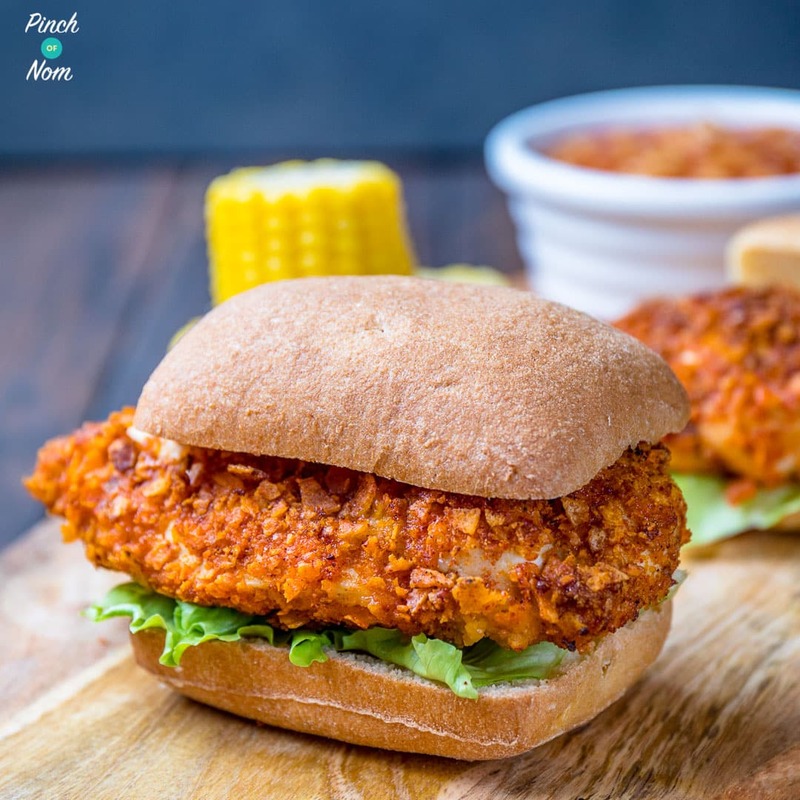 The magic of our Low Syn KFC Zinger Burgers lies in the crunchy coating that surrounds the chicken. If you’re missing out on our KFC fast food treat then these are certainly worth your time! As side dishes go, you can’t beat our Syn Free Rustic Potato Wedges. 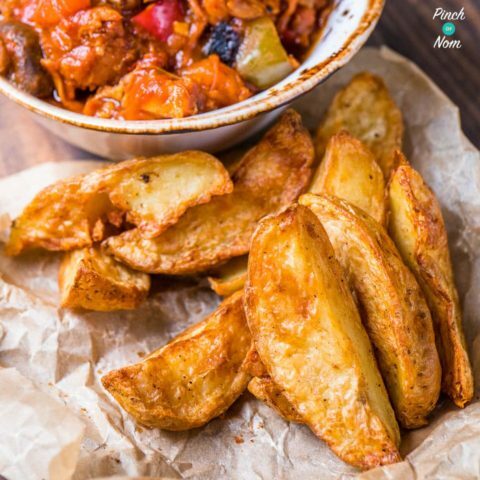 As you will have seen in this list of our top 50 Slimming World recipes, Syn Free Rustic Potato Wedges can accompany so many of our recipes. There’s no limit as to how many of these you can make as well, so they’re really cook for cooking for a buffet table. Or a BBQ or with your favourite Slimming World recipe. If you want to pimp your Syn Free Rustic Potato Wedges up, add a little spice! Whether you’re after an indulgent breakfast or simply fancy a sweet snack, the penultimate recipe of our top 50 Slimming World recipes will sort your cravings out good and proper! 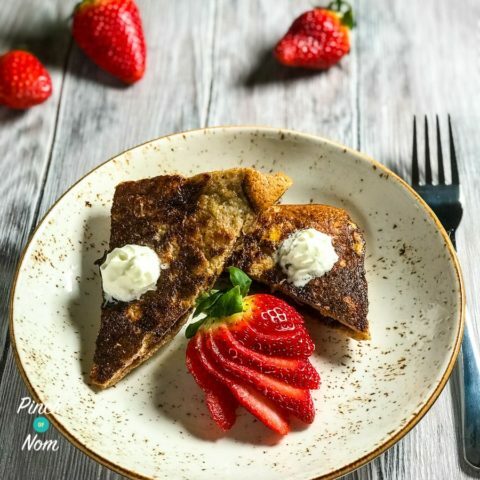 It’s our Low Syn Chocolate French Toast. There’s plenty of you over on our Instagram page that have tried our Low Syn Chocolate French Toast and adore them. Just a few ingredients and a simple cooking method and you’ve created a perfect sweet treat. But it doesn’t use lots of Syns! Last, but by no means least, on our list of our top 50 Slimming World recipes is our Syn Free Onion and Chive Potato Waffles. You only need to look at the picture to realise how good these will taste! 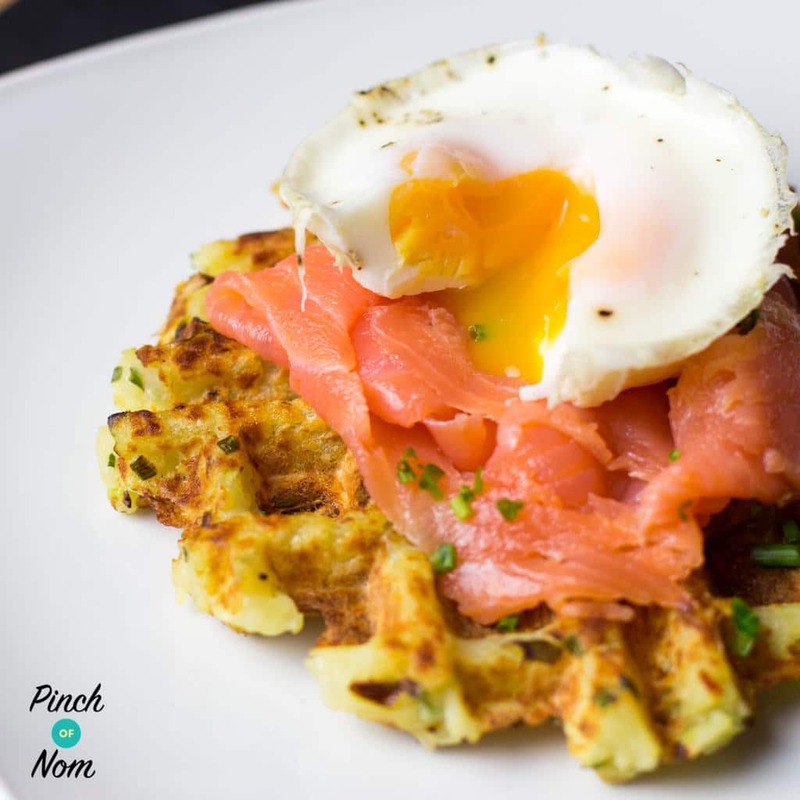 Syn Free Onion and Chive Potato Waffles can be created for a posh breakfast, a lovely lunch or as a side dish to a main meal. They’re very adaptable and you can be as adventurous as you wish with any toppings you might like to try. Come join our Facebook group! We have over 620,000 members, who want to help you! You wouldn’t want to miss out on the fun would you? Thank you so much Pinch of Nom for such a great collection of recipes, I’m working my way through all of them and enjoying each one !Thank you again for all your hard work and devotion and helping us all with our weight loss journey….keeping us motivated to try new and tasty things. Your newsletter is the highlight of my week! What fab recipes. Definitely some here we’re going to have to try. I’m surprised that enchilada lasagne is at no. 35. Would have expected it higher up the list! That is probably our number one favourite at the moment. Hubby, who said he would not be having any of my slimming world food abso,uteky loves it! 😀. Happy New Year everyone. Looking forward to the new cookbook. Love love love your fabulous recipes. So many choices I am never stuck as to what to cook. I am on my slimming world journey having lost 2 stones since June. I was slimmer of the week after Christmas which I was so thrilled about. Thank you for your dedication.